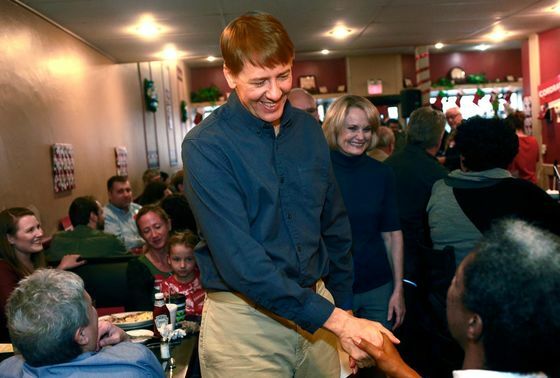 (Bloomberg Businessweek) -- In early May, Richard Cordray was wrapping up a two-day campaign sprint during which he spoke to crowds of plumbers, pipefitters, ironworkers, teachers, firefighters, furniture workers, and now, as dusk settled over a low-slung Cleveland union hall, a hundred or so food and commercial workers. 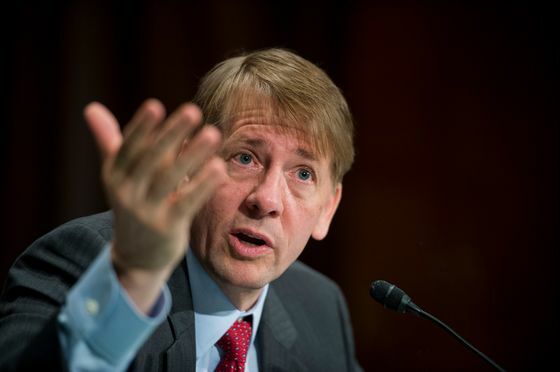 Cordray, who stepped down as head of the Consumer Financial Protection Bureau last December, was making a last-minute pitch to Ohio Democrats to choose him as their nominee for governor. Ostensibly, he was campaigning to defeat liberal gadfly Dennis Kucinich in the next day’s party primary (which he did, handily). But in a larger sense, Cordray was—is—trying to redeem a Democratic Party blindsided by Donald Trump’s 2016 victory and searching for a path forward. Trump’s unexpected strength in Midwest swing states such as Ohio, where he trounced Hillary Clinton by eight points, exposed a deep erosion of Democratic support in swaths of the country you have to carry if you want to win the White House. Ohio has voted for the winner in 14 straight presidential elections. That Clinton’s brand of Wall Street-friendly, establishment Democratic politics wasn’t even competitive in this presidential bellwether underscored the scope of the party’s problem. What’s indisputable is that Ohio revealed a host of shortcomings Democrats must address. While Obama twice won the state with strong minority support, black voter turnout fell sharply in 2016. So did Democratic support in struggling manufacturing hubs such as the Mahoning Valley in Northeast Ohio, where many union members defected to Trump. Meanwhile, suburban voters didn’t turn out in nearly the numbers Democrats needed. Clinton’s loss raised a host of thorny questions the party has been debating ever since: Was the problem Clinton, or is it broader than that? Should Democrats make more explicit appeals around race and gender to activate disaffected voters? Or should they embrace the full-throated economic populism of Bernie Sanders and Elizabeth Warren? Cordray’s race will offer some interesting clues—he’s as pure an exponent of Warren-style populism as anyone on this year’s ballot. Because he lacks a Trump-like persona or a desire to litigate the president’s misdeeds, Cordray is embarking on what amounts to a laboratory experiment in the power of progressive economic populism to win back lost voters. Trump showed that hard-right populism can resonate in Ohio; what’s as yet unclear is whether that message can resonate from the left, when shorn of its anti-immigrant, anti-Clinton attacks and dialed back from Trumpian bombast to Cordray’s scout-leader calm. His Robin Hood record notwithstanding, Cordray, 59, is about the furthest thing from the tub-thumping populists of yore. Tall and sandy-haired, he has a hangdog visage and the soft-spoken demeanor of the late PBS kids’ show host Mr. Rogers. “It makes me mad to see people in government serving themselves at our expense,” Cordray, sounding not the least bit mad, told a union crowd in Lima earlier that day. While he rarely puts a charge in his audience, Cordray drove Republicans in Washington to fits, quickly emerging as Public Enemy No. 2 (behind Warren) for his aggressiveness in clawing back those billions of dollars for consumers. Conservatives viewed him as the embodiment of rapacious government overreach and made him the target of furious criticism throughout his CFPB tenure. “For conducting unlawful activities, abusing his authority, denying market participants due process, Richard Cordray should be dismissed by our president,” Jeb Hensarling, the Republican chairman of the House Financial Services Committee, declared last year, as part of an unsuccessful campaign to pressure Trump to fire him. Even before Clinton’s loss, it was evident that the lode of feeling among the Democratic rank and file voters had shifted to the left since Barack Obama’s last victory. In his new memoir, How Bernie Won, Jeff Weaver, who ran Sanders’s 2016 presidential campaign, argues that though the candidate ultimately succumbed to Clinton, he “won” their primary showdown, because Democrats embraced his brand of left-wing populism. While Clinton also moved leftward on issues ranging from immigration to social justice, she was a poor messenger for economic populism. When her campaign needed to appeal to voters in the Mahoning Valley and places like it, it usually sent more culturally appropriate surrogates, such as Joe Biden or Senator Sherrod Brown, Ohio’s only statewide Democratic officeholder. Cordray was a scholarship student at Michigan State, Oxford University, and the University of Chicago Law School, then won a U.S. Supreme Court clerkship. Yet somewhat incongruously, his heart was in electoral politics. That love often went unrequited: In 1990 he won an Ohio state house seat; but he lost a race for Congress two years later, and then two more races, one for attorney general and another for U.S. Senate. “I really got my head pounded in over the years in politics,” he once admitted to the New York Times. He lowered his sights, won a state treasurer race, and in 2008 finally won a special election for attorney general. Cordray took office in the teeth of the financial crisis. He quickly became part of a cadre of aggressively litigious Democratic state attorneys general that included Martha Coakley in Massachusetts, Roy Cooper in North Carolina, and Lisa Madigan in Illinois. The group successfully targeted financial corporations, mortgage-loan servicers, and credit card companies for consumer fraud and other abuses tied to the crisis. The $2 billion that Cordray boasts about reclaiming for Ohioans came from several actions against marquee Wall Street firms, including American International Group ($725 million), Merrill Lynch ($475 million), and Marsh & McLennan ($400 million), and gave him a national profile. Additionally, in what seemed an incredible stroke of good fortune for someone with Cordray’s obvious ambition for higher office, millions of dollars from a settlement were distributed among 26 Ohio universities, schools, and cities all across the state. This turned out to matter even more when Republicans blocked Warren’s nomination to head the CFPB, prompting Obama to put Cordray in charge. 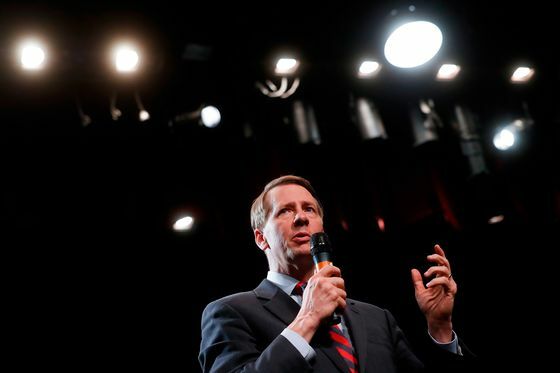 Although he first had to spend a year building and staffing the bureau, Cordray picked up where he’d left off in Ohio, going after mortgage, student loan, and financial companies as soon as its enforcement authority kicked in in July 2011. Although his success in these endeavors won him angry notoriety among Republicans, it deepened his belief in government’s ability to right wrongs. Out on the trail, Cordray makes an explicit case for government as a positive force in people’s lives that few other Democratic politicians would state so baldly. A generation ago, when Bill Clinton declared “the era of big government is over,” a Democrat wouldn’t take that risk. But the world has changed. The financial crisis hit hard in Ohio, revealing how tenuous middle-class life can be. The opioid epidemic rages on unimpeded. The Trump-led assault on the Affordable Care Act, which brought Medicaid coverage to 700,000 in the state, sparked a furious backlash among those whose government health insurance would be taken away. Government isn’t automatically a malign force anymore, or so Cordray insists: It’s a way to shift the balance of power in favor of ordinary people. Trump promised to shift the balance of power through his own force of will—“I alone can fix it”—but Ohio’s economy remains sluggish, and Trump’s approval rating has fallen. “A lot of our firefighters who were ardent Trump supporters aren’t as vocal as they were,” Doug Stern, the communications director for the Ohio Association of Professional Firefighters, told me after a Cordray event in Cincinnati. The morning after Cordray’s primary victory, just as we were sitting down to talk, the Trump distraction suddenly arrived in the form of a tweet. The president called Cordray a “Socialist” and a “big failure in last job!” Cordray rarely mentions the president on the campaign trail, but he didn’t seem at all unhappy that Trump had injected himself into the race. “It’s kind of head-spinning,” he admitted. But it let him tout his populist bona fides. “Getting back $12 billion for 30 million Americans is the work I thought we were supposed to be doing,” he told me, and then tweeted the same. Cordray’s dig, like his whole campaign, is an effort to sully Trump’s populist image and reclaim for Democrats the appealing narrative of politics as a drama of injustice and recompense—a process Trump’s scandal-plagued cabinet, and Ohio’s deposed house speaker, have both helped usher along. National Democrats will be watching intently to see whether Cordray’s progressive populism can connect the way Trump’s version did. So far, it hasn’t. On primary night, nearly 150,000 more Ohio Republicans voted than Democrats, the reverse of the juiced-up Democratic turnout seen elsewhere this year. Still, there’s plenty of time (and hundreds of news cycles) between now and November. Cordray is betting that the populist energies that gave rise to Trump are still burning—and that even people who responded to his message will have seen enough by Election Day to conclude that Trump is part of the problem rather than someone who can deliver results. What will they do then?